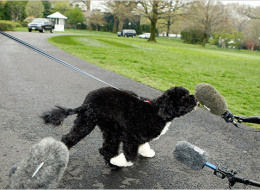 Friday over at the New York Time's Op-Ed page, Bo the Presidential Dog (DOTUS?) gave us a review of his first one hundred days in office. His temperament is friendly and reasoned considering the paparazzi dogging him (eek!). As we enter the dog days of summer, it's nice to see a pro take it all in stride.